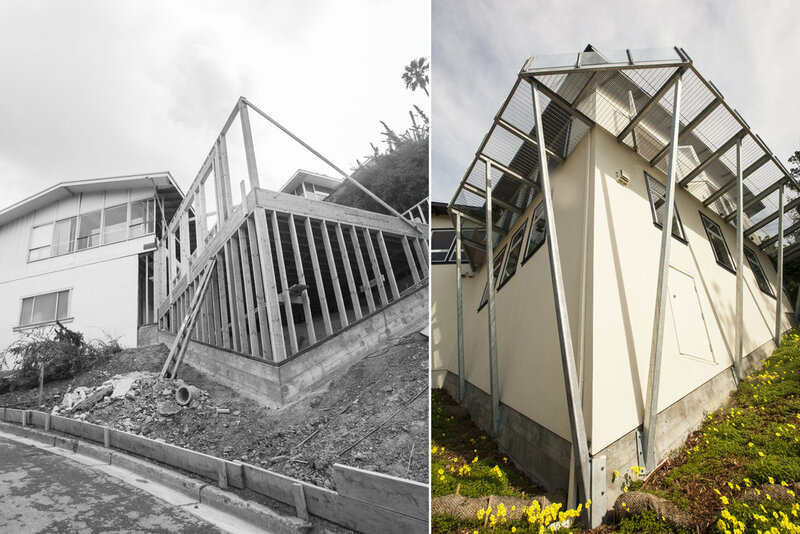 This large addition onto this hillside home doubled the square footage of the house and turned a difficult lot into more usable space. The project included a renovation of the interior, new kitchen, wrap around deck and extensive terracing in the back yard. The mesh deck with glass railing was a strong, efficiant and beautiful way to build this structure. The interior, now with a grand open kitchen, living and dining room is filled with light and has easy access to the front deck and backyard. More glass railing to create unobtrusive railings that allow a clean visual and lots of light. 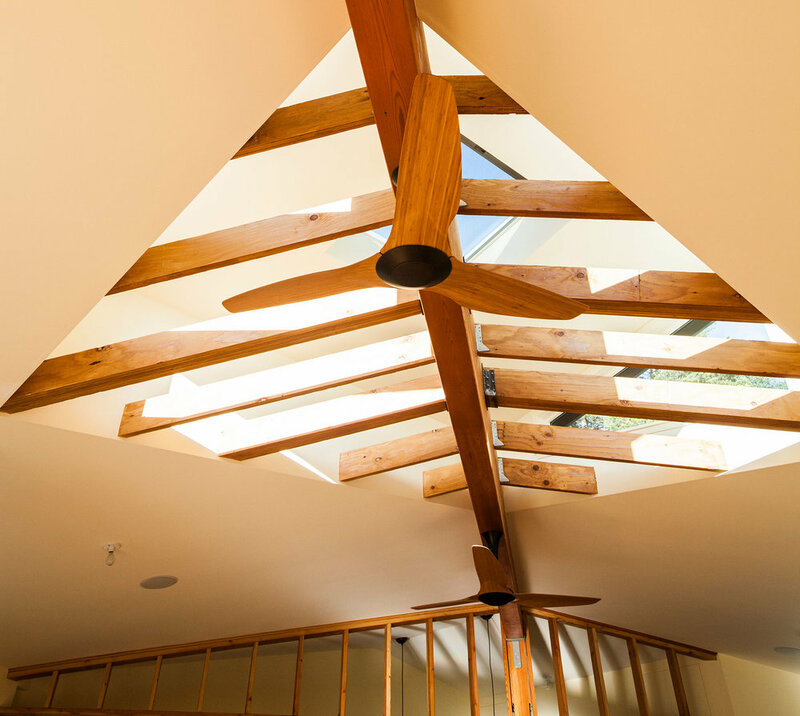 Building out the skylight, we chose to show off the construction and keep the beams exposed. 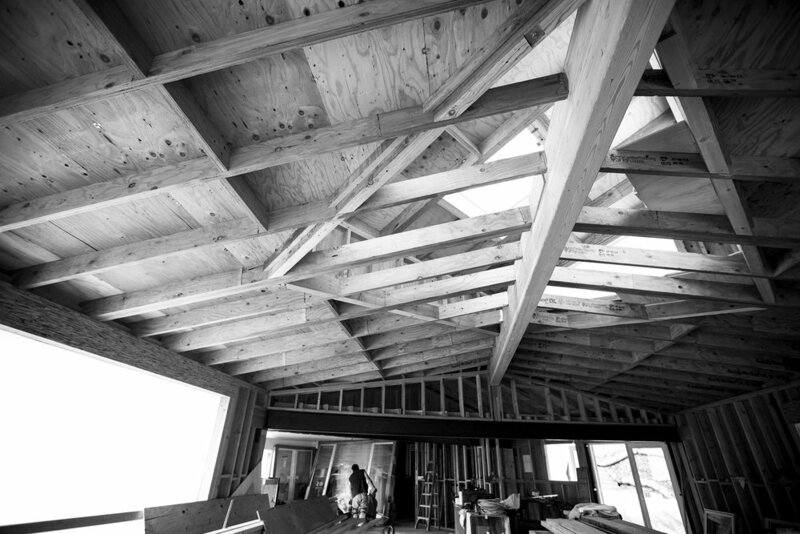 The majority of the construction done, the large open floor plan needs strong structural beams in the ceiling. Again we have kept these exposed. 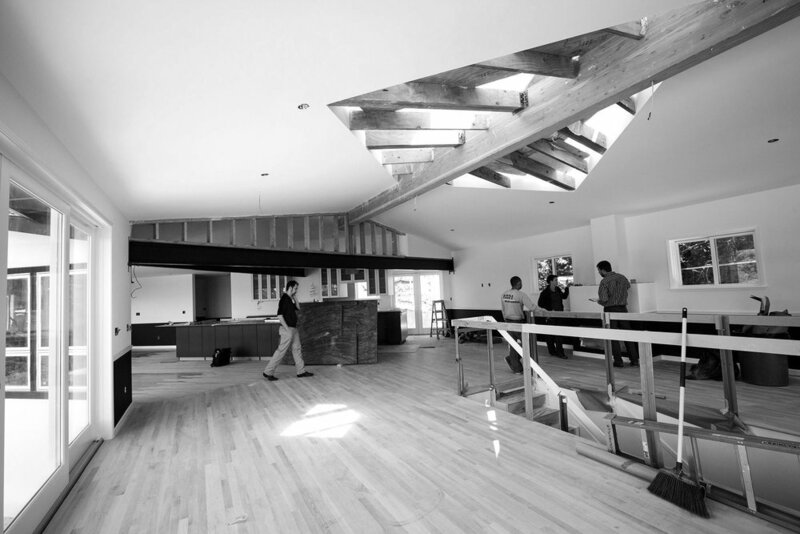 A wooden beam in the dining area and a large steel beam across the kitchen entrance. 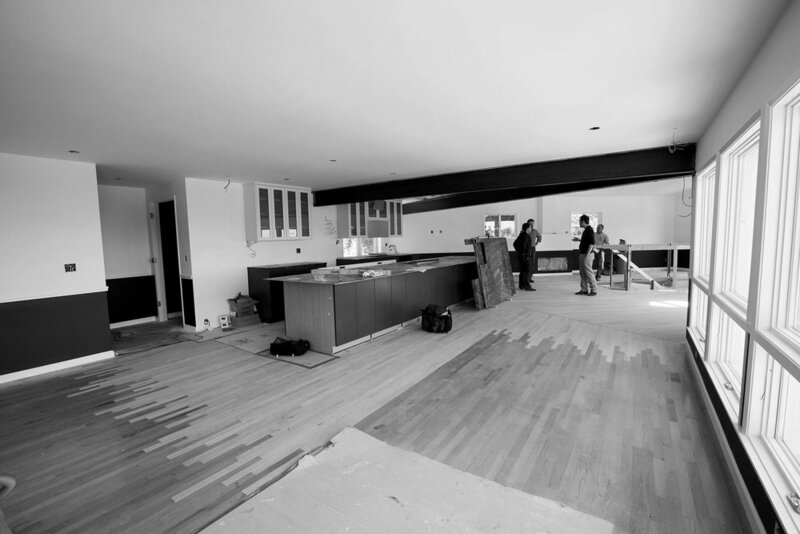 Matching the new floor with the existing floor. 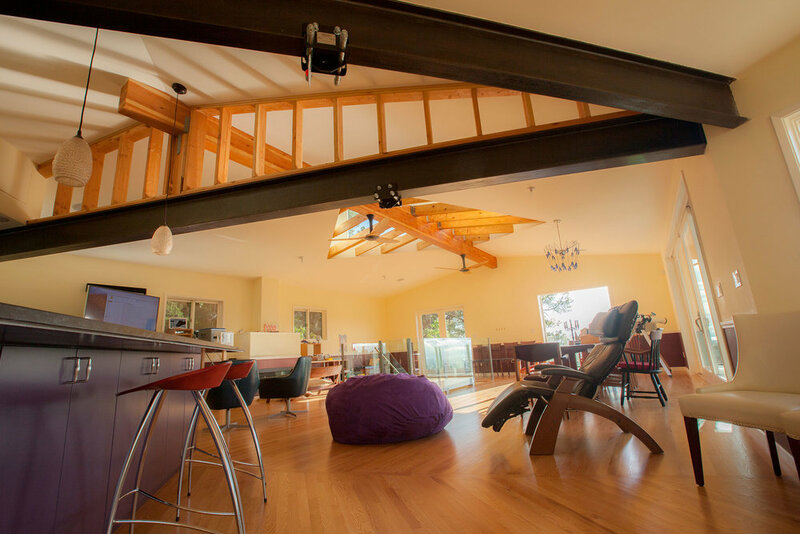 The exposed ceiling beams add interest to the interior. Along the windows, before the larger renovation, we designed and created these fun window screens to protect little children from old single pane glass. 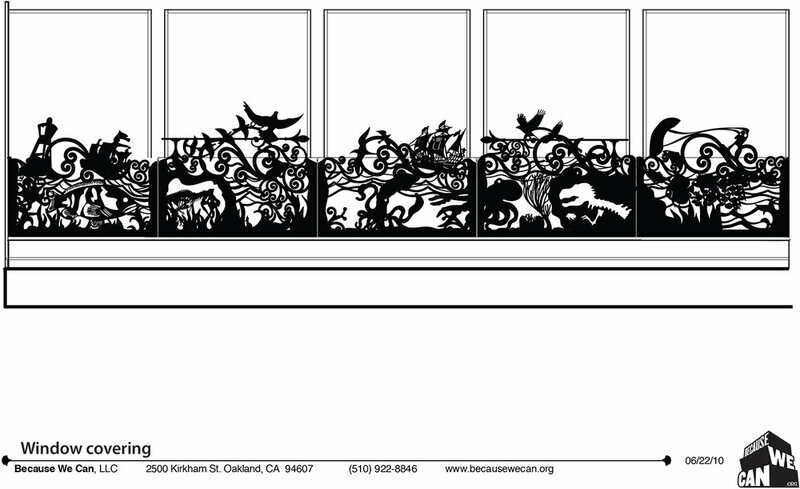 Integrating the client's loves of birds, the sea and dinosaurs into the fun, decorative screen. 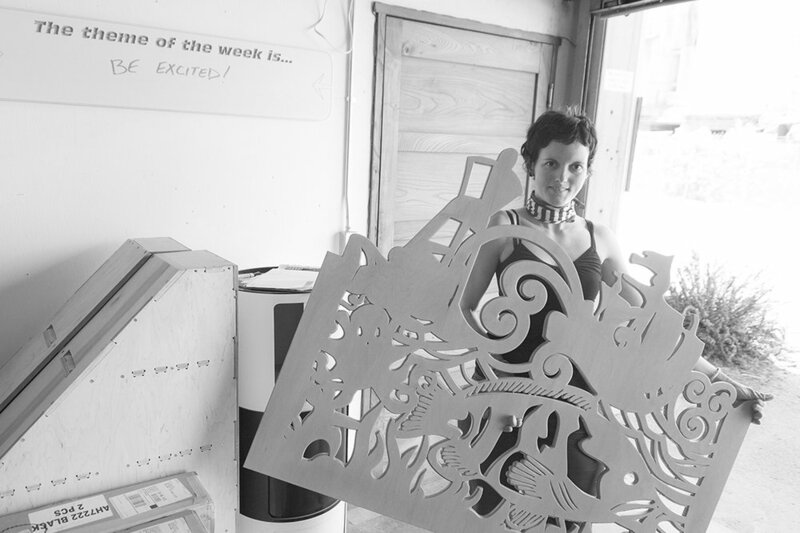 The fabrication of the fun screens, Jillian of BWC, shows off one of the panels. Another fun child saftey installation of a solid gate over a railing and open stairway. 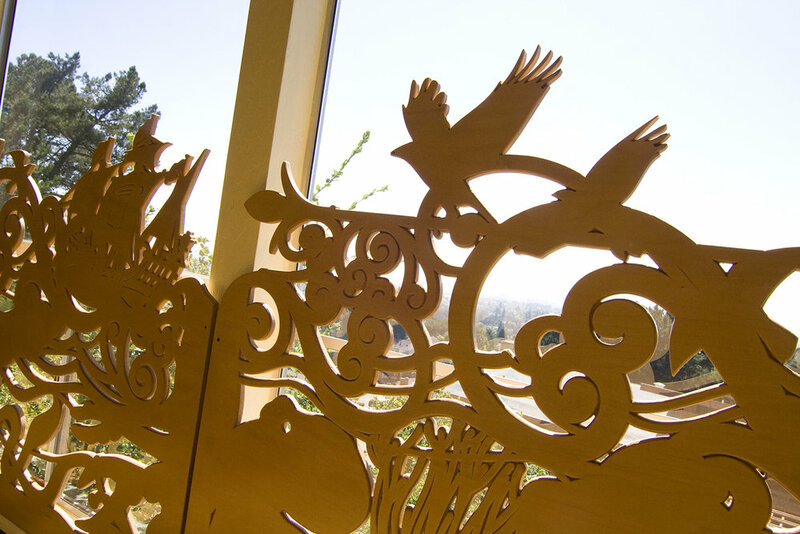 Looking up the stairs, the decorative carvings are referencing the clients passions and the new gate is protecting small children from those open stairs. The exterior construction required additional support due to this difficult lot, but the end result is well worth it. 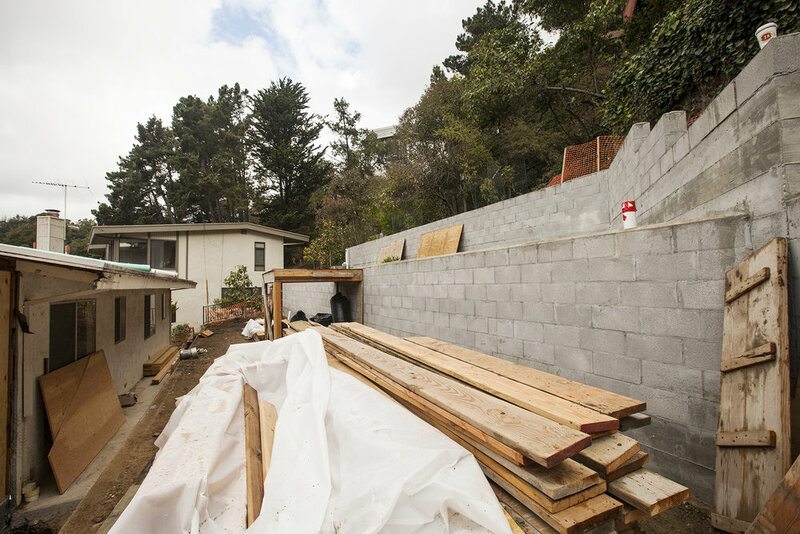 Major terracing begins in the back yard, a once dramatic upward slope. From here in the back yard it is clear why this design have a large front deck and wrap around windows. The view is amazing! 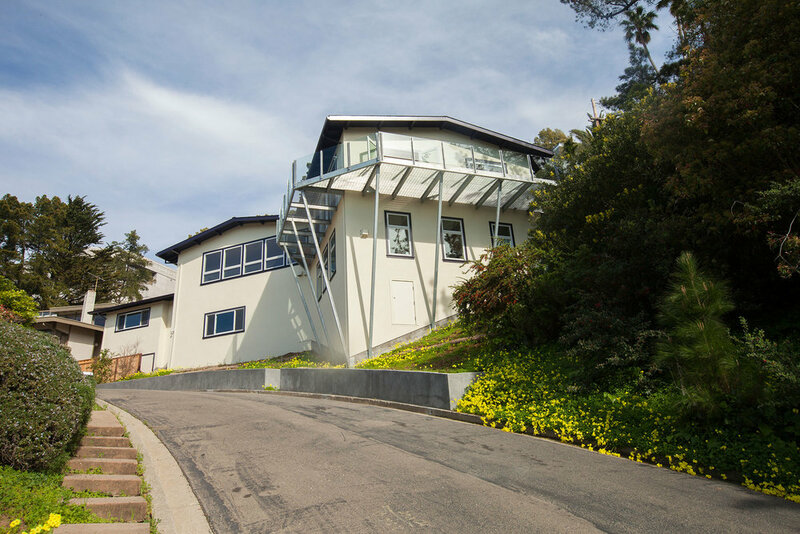 This home renovation and addition was on a difficult sloped site. 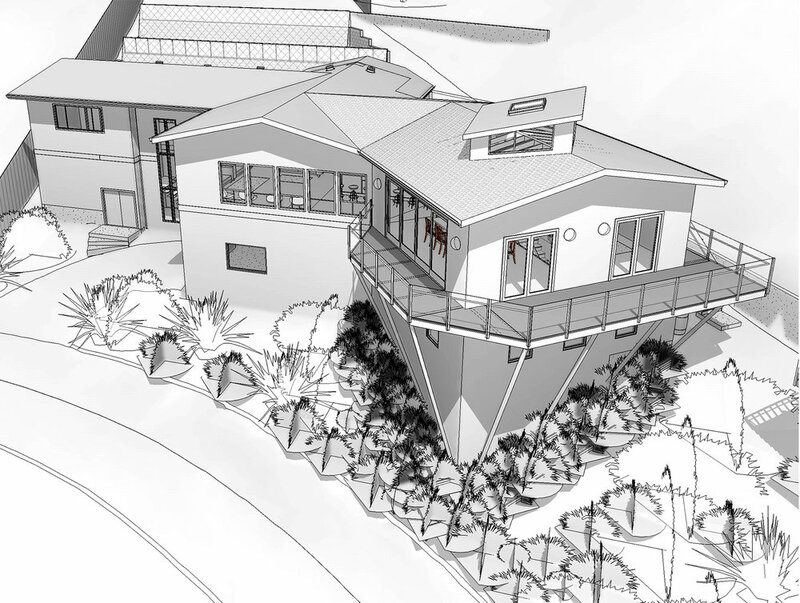 The design utilizes this site in the most efficient way, getting the most livable and useful space out of this steep hill - and without too much excavation.